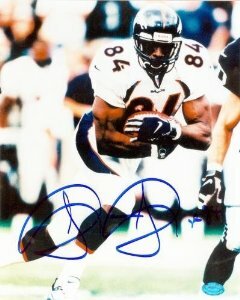 Inducted into the Professional Football Hall of Fame in 2011, Shannon Sharpe football cards and autographed memorabilia may be some of the most undervalued deals in the hobby. 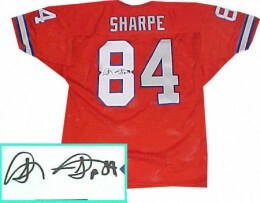 Sharpe was selected to the Pro Bowl eight times during his 13-year NFL career. He was also an instrumental part of three Super Bowl Championship teams. Sharpe flew under the radar of most NFL scouts. As a result, he has just one rookie card. 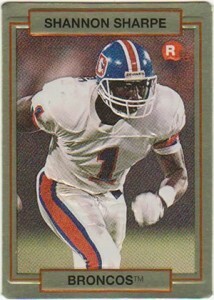 it is part of the 1990 Action Packed Rookie Update set. Ungraded copies can be found for under $10. Shannon Sharpe's first certified autograph card was released in the 1993 Pro Line Portraits set. It is not serial numbered and the exact print run has never been disclosed. His first game-used memorabilia card was produced by Collector's Edge in 1996. The card features a piece of game-used football. Shannon Sharpe became a commentator for CBS after his retirement. He has appeared at a handful of organized signing events. 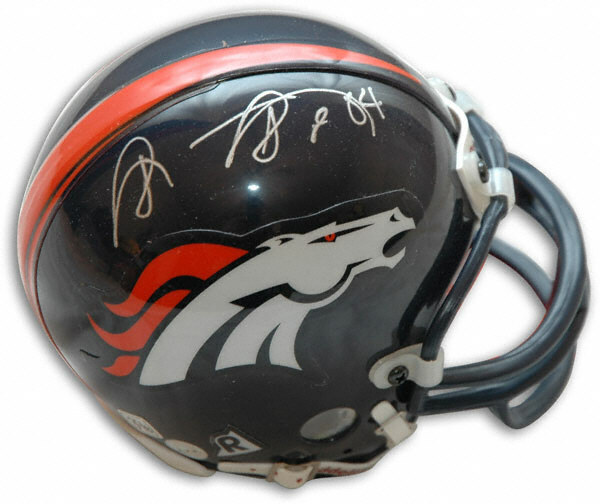 His Denver Broncos autographed memorabilia is very popular with fans and collectors of the team. The Action Packed brand had a short-lived time in the hobby. The company used new design elements in an attempt to distinguish themselves from the competition. Embossing, rounded corners and gold card stock were just a few of the things the company experimented with. All of them were used in their 1990 set. 2018 HONORS 2015 BLACK GOLD SHANNON SHARPE BUYBACK ORIGINALS AUTO CARD BRONCOS. 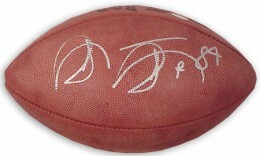 Below you will find an example of what Shannon Sharpe's authentic signature looks like. This can be used as a first point of reference for determining the legitimacy of autograph memorabilia, but is not a substitute for having your items authenticated by a well-respected professional autograph authentication company. Some of the trusted sources within the sports memorabilia market include the following companies: PSA, JSA, Tristar, and Mounted Memories. Click on any of the images below to view full size photos. The entire signature is dominated by the initials "S" and "S," which are clearly legible. They start as standard capitalized cursive letters but are then connected by a unique pattern of connecting lines. 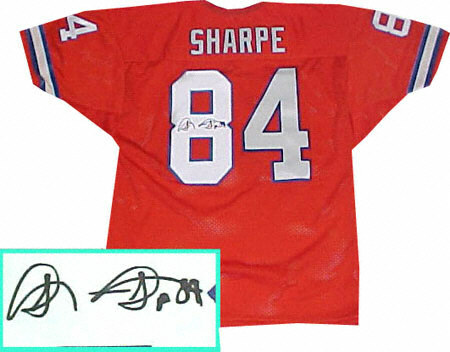 Caution should be used when looking to purchase Sharpe's autographed memorabilia.